Driving is a skill. Whether you’re maneuvering through downtown or rolling down the open road, you know what it takes to be in control. 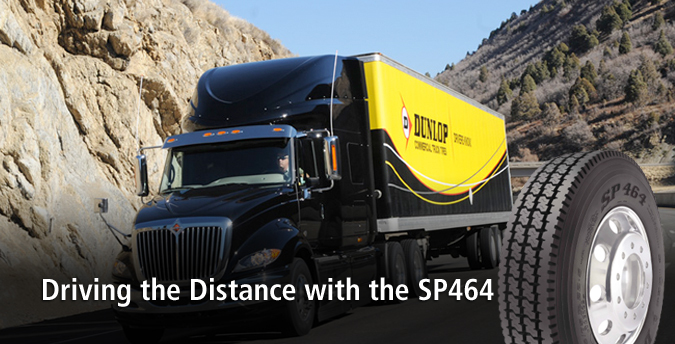 Dunlop Commercial Truck Tires help give you traction, handling and tread life. Born out of more than a hundred years of European tire heritage, Dunlop is the brand that helps deliver the consistency you need on the road. Learn more about Dunlop tires. Durability helps make for a safer more cost-effective tire. Dunlop truck tires are constructed with durability and efficiency in mind. Fuel-saving compounds that promote energy efficiency mean less fuel costs. Proven construction helps ensure even wear and longer tire life, which means more miles between changes. Dunlop technology is geared toward making tires that work as hard as you do. Learn more about Dunlop Tire Technology. and engineering data you may need.